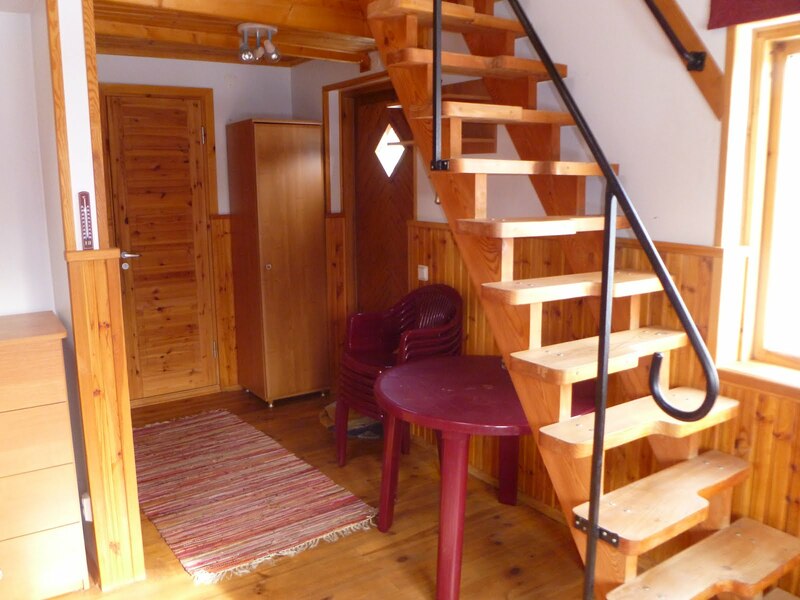 Holiday Home Loora (Picture 1) is a small cosy house, suitable especially for families with children. The construction of Loora was completed in the spring of 2005 and there are two separated accommodation rooms (Loora 1 and Loora 2). Both of these rooms have it's own entrance from the yard, but the same time there is a door between of the rooms, enabling connection of rooms in the case there is a bigger company accommodated. 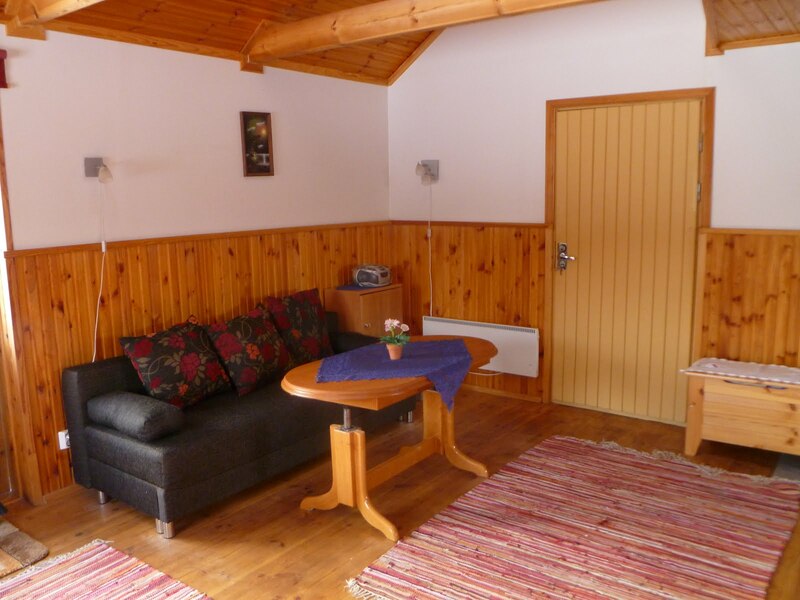 Loora is located 3  4 kilometers from Pärnu main beaches and center. Each of the accommodation rooms has own kitchen, shower and WC. 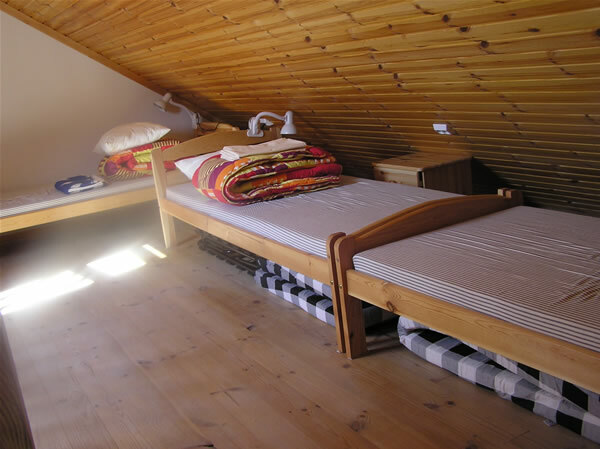 Loora 1 has five (3 single and 1 double bed) and Loora 2 four (2 single and 1 double bed) sleeping places. Sheets are included. At least one extra bed is possible to be added in both rooms. Single beds are located in the second floor, double bed is in main floor where are also kitchen and other places (Pictures 2 and 3). 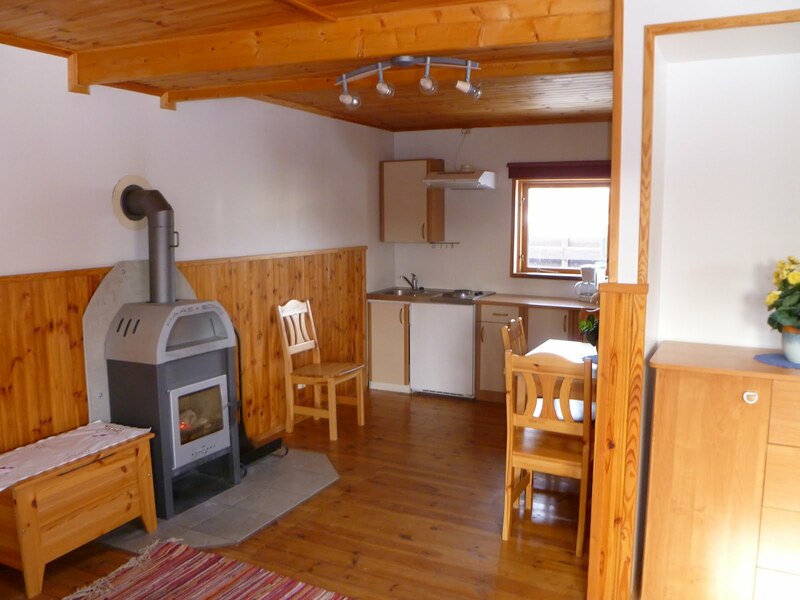 Holiday Home Loora has private location and surrounded with garden. In the garden there are terrace and barbecue place, giving a possibility to relax and take a meal in open air. Also enough space for children to play and a safe parking place for 2-3 cars is in the garden. Coming from center of Pärnu, the best way to get to the Loora is to turn to right from Riia road to the Lennuki street. This is across the road where is Pärnu railroad station and next to the grocery store Rae (Riia road 271a). 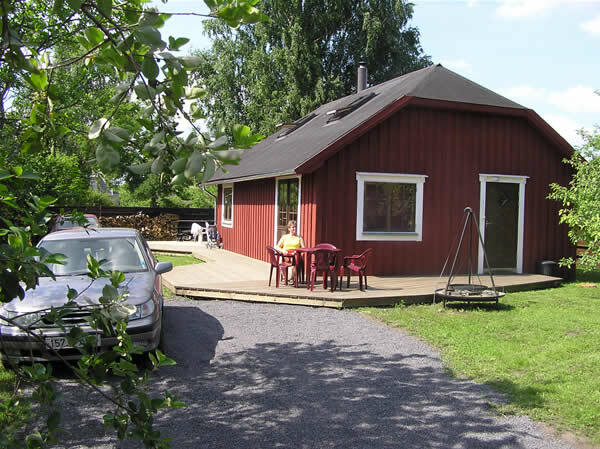 The address of Holiday Home Loora is Lennuki str. 15a. In the kitchen there is a refrigerator, microwave oven and basic dishes (Picture 4). The main floor has also a chimney for cases, the weather gets chilly, which does not happen very often in Pärnu in summertime. Both, Loora 1 and Loora 2 have TV-set and a small radio. Right next to Holiday Home Loora at the address Lennuki str. 15b, there is another similar Holiday Home Teeny. Teeny has 6 sleeping places and a sauna. More precise information about Teeny you will find in web address www.teeny.ee.